Message summary: Our hope in Christ is a sufficient anchor for the new year. “I will say of the LORD, ‘He is my refuge and my fortress, my God, in whom I trust'” (Psalm 91:2). “So when God desired to show more convincingly to the heirs of the promise the unchangeable character of His purpose, He guaranteed it with an oath, so that by two unchangeable things, in which it is impossible for God to lie, we who have fled for refuge might have strong encouragement to hold fast to the hope set before us. We have this as a sure and steadfast anchor of the soul” (Hebrews 6:17-19). As we share our final message in 2018 we ask you to consider a truth that all who have placed their trust in God can declare, “I will say of the LORD, “He is my refuge and my fortress, my God, in whom I trust” (Psalm 91:2). Whatever happens, the daily Scripture portion is a great source of assurance and encouragement for every believer. Throughout the Old Testament there are many verses dealing with the image of the refuge as a source of assurance, many in the Psalms. Today we share just one of them: “On God rests my salvation and my glory; my mighty rock, my refuge is God” (Psalm 62:7). “We who have fled for refuge might have strong encouragement to hold fast to the hope set before us.” We have fled for refuge from the worldly sources of temporary and falsely placed hope to the only true and lasting source of hope. 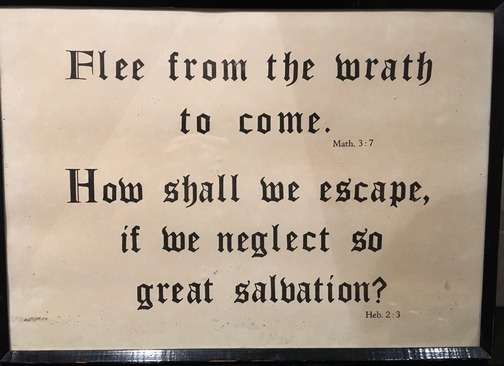 This Hebrews phrase gives the sense of one fleeing a shipwreck who has finally reached safety, or one who is caught in a pelting hailstorm but flees to a dry, impenetrable fortress finally safe from the assault. Once we firmly take hold of this hope which is graciously offered to us we indeed “have strong encouragement” and declare along with the Psalmist, “On God rests my salvation and my glory; my mighty rock, my refuge is God” (Psalm 62:7). 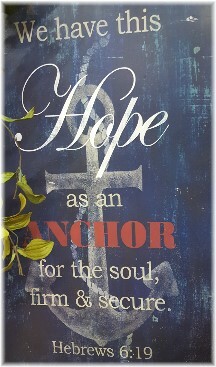 In describing this hope the writer of Hebrews uses the wonderful expression, “We have this (hope) as a sure and steadfast anchor of the soul.” What a powerful, powerful metaphor! I want my life to be anchored solidly in the hope God offers as a refuge. When I place my hope in the temporal circumstances I am certain to be disappointed, emotionally unstable or even led astray. There are many circumstances that bring fear, despair or hopelessness. Scores of people are presently dealing with these emotions including many of our readers. And realistically I expect to have occasions in the coming year when I will battle with these emotions. When I do so, I pray that God will bring today’s Scripture text to my spirit reminding me of the hope I have in Christ which is steadfast and sure. This day as, we experience the transition into a new year, let us continue to place our hope in our ever-faithful, ever-dependable God who is our present and eternal refuge! 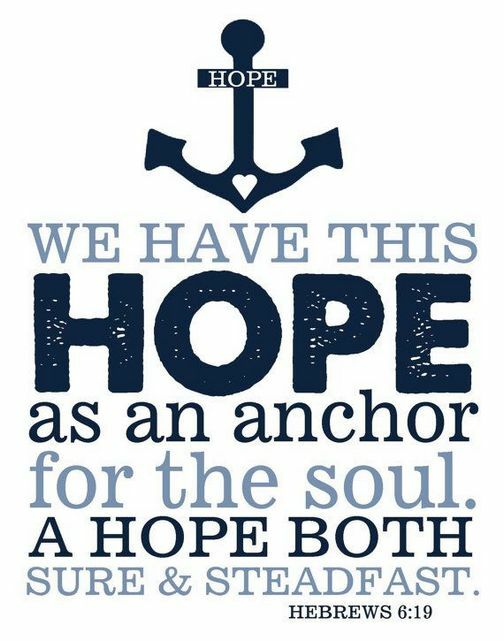 Our hope in Christ is a sufficient anchor for the new year. Daily prayer: Father, inevitably in one way or another we have been and we will be tossed about in the tempest sea of life. We will stay afloat as we hold onto the hope secured through Your promises in the Holy Scriptures. When doubts and fears begin to consume our thoughts help us to cling tightly to our soul’s anchor, Jesus Christ. He is our eternal refuge, our hope and our stay. We are thankful for the year past and look forward to 2019 as we walk step by step with You. Amen. 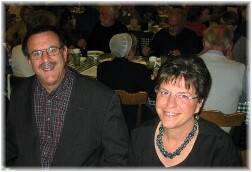 We want to thank all who have financially supported our ministry this past year (and some for many years!). We realize there are many fine ministries and causes requesting support at this time but if the Lord would lead you we surely need and appreciate the financial support from our readers and listeners. Like many ministries, we typically see a spike in giving at the end of the year for which we are most thankful. If you would like to consider making a donation to our ministry see here for more information. A rudderless ship. It has lost the one implement that can give it direction. It describes nations, families and individuals. There is no compass, indisputable law, nor plumb line – to provide direction. Relativism prevails. Public opinion rules and everyone does what is right in his own eyes. This is living without a rudder. But what is the rudder? It is the Bible – the infallible Word of God. It alone can guide you through the tempestuous sea of life. Sadly self-determination and a spirit of independence has won the day. People resist any outside influence. But the true rudder is known by revelation. It is God invading man’s space and establishing the absolute guidelines by which man is to live. Without the rudder shipwreck is inevitable. From One For The Road by Richard Dresselhaus. His writings are available on his blog and through an email subscription. Highly recommended!